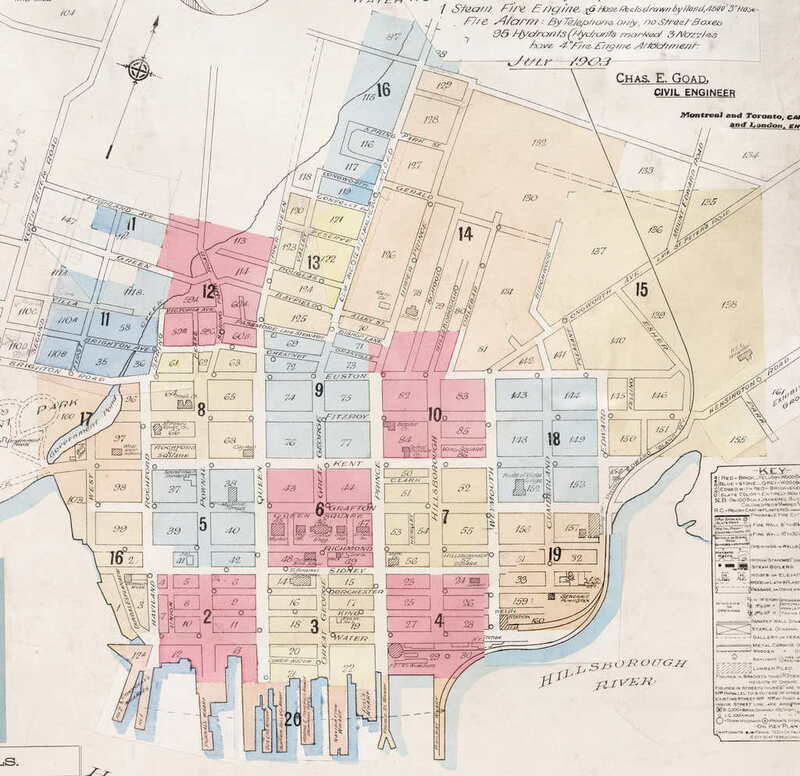 The Charlottetown Fire Insurance Maps are one of the most delightful elements of the Island Imagined collection of digitized images, but the interface for navigating them there doesn’t lend itself to exploration. To help make this easier, I took the index map and converted it to a static JPEG (using the technique I outlined here), and then used this free imagemap-making tool to create a set of clickable links to each map (technical note: I use Image Map Resize to ensure the image map works no matter the size of the image). Here’s the result; just click on any of the colour-coded areas of the city to jump to the appropriate page in the Island Imagined collection, where you’ll find a slippy map that you can explore in detail. Written August 11, 2018 at 4:22 p.m.